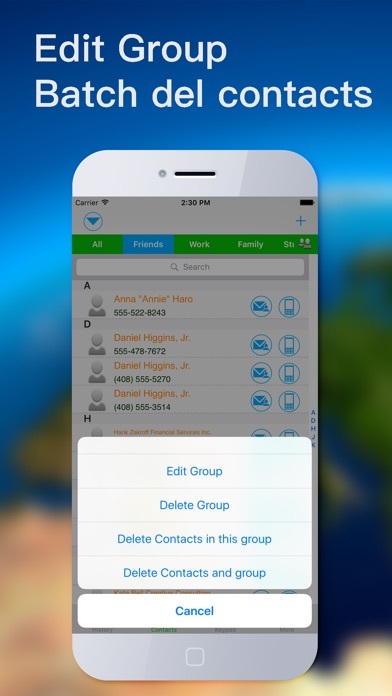 - Batch delete contacts by group or all. 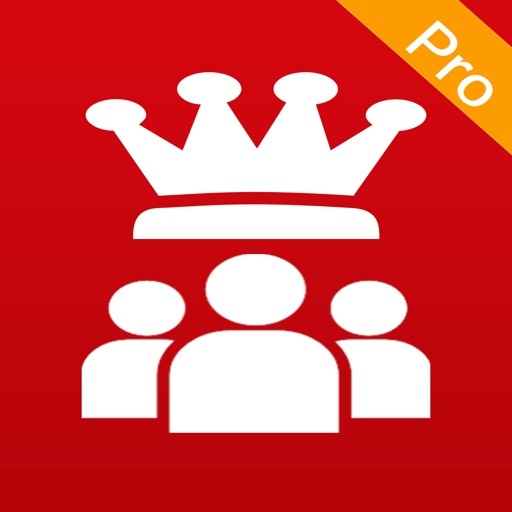 - New Group you can added. 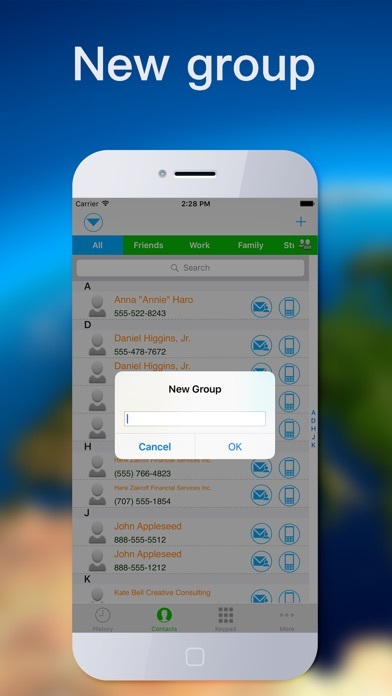 - Move contacts from one group to another group. 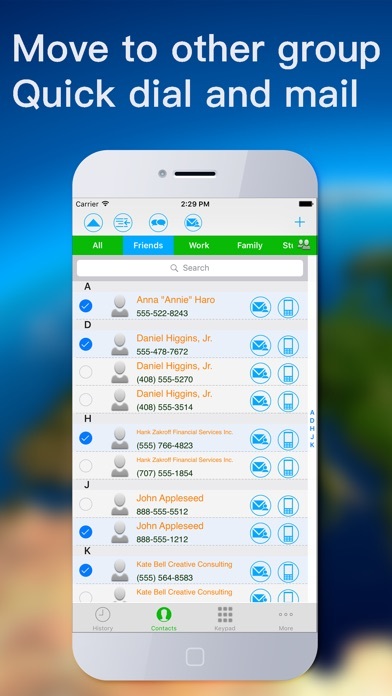 - SMS,Mail to contacts quickly. 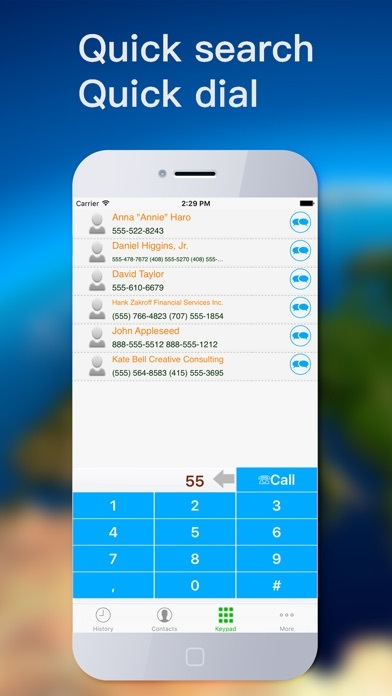 - Search and dial quickly.